In order to support the professional development of students and graduates, Zitec started organizing internship programs that have been running successfully for the past four years. We already celebrated several generations of interns who have developed their knowledge of PHP, Drupal, Magento, Ruby on Rails, .NET, Quality Assurance and Online Marketing. 70% of the participants in the internship programs are currently part of our team! At first, all of them had these two things in common: they were students or graduates of a technical faculty and they all had a passion for software development and a strong motivation to grow a career in this domain. Check out our fresh internship programs! We will attend some events dedicated to young talents this month, these are the perfect occasions to get in touch and find out more about us. March 9th – March 13th: Spring IT, hosted by The Faculty of Cybernetics, Academy of Economic Studies Bucharest. On March 10th, Lucian Daia, our Head of Custom Solutions, will conduct a workshop on Web Applications development in Cloud. Fill in the workshop application form here. 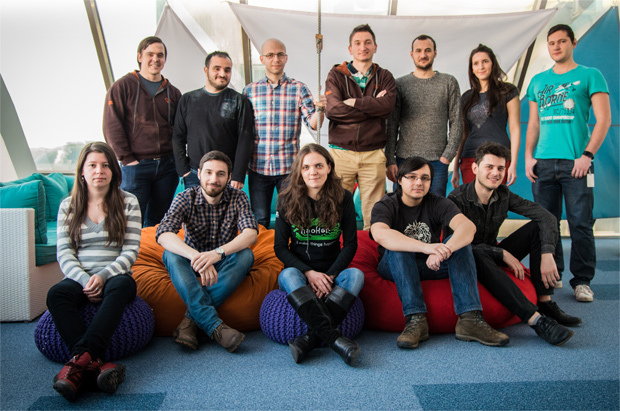 Here you will meet Adina Nichitean, our Head of Magento Solutions, and Gabriel Croitoru, Senior Software Engineer, who will present our current internship opportunities. Our recruitment team will be present at all three events, prepare for some fun surprises as well 😉 See you there!